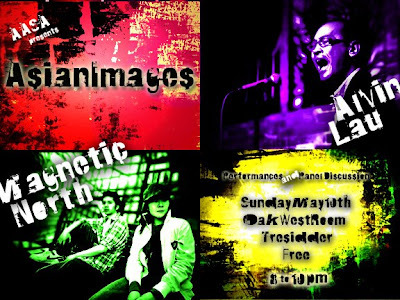 Asian Images - performances and a panel discussion with spoken word artist Alvin Lau and the hiphop musicians of Magnetic North. There is free parking in the large lot in front of the complex. The event is completely free of charge and open to everyone. For more information or directions, please feel free to contact Nguyen Pham (ntpham@stanford.edu) or Kelly Nguyen (knguyen3@stanford.edu). YellowBuzz is psyched to see APA music events popping up on campus. Music and Education rules! Publishing images related to music is really good, this helps promote music education online.